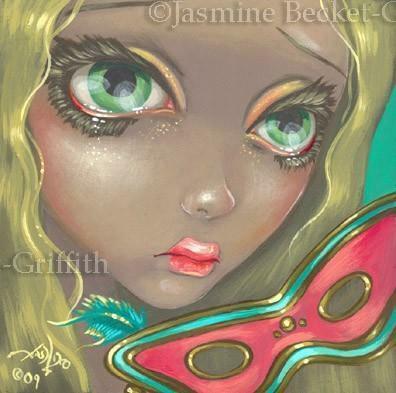 “Pipistrello” was based off of my painting of the same name. 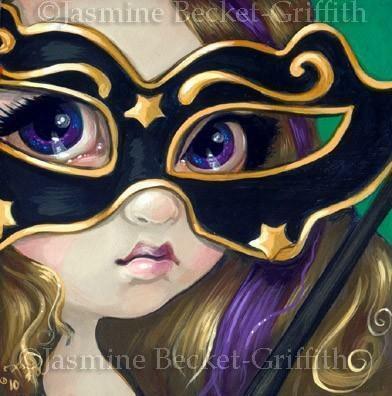 Pipistrello (Italian for “bat”) is kind of a masked superhero fairy who can control bats (wouldn’t that be nice?). 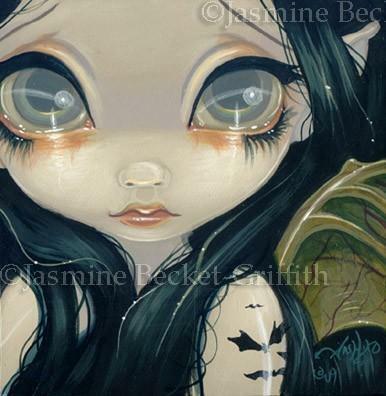 She has batty friends flying up to the moon behind her. This was the fifth PATREON EXCLUSIVE pin. This means you cannot buy her. She was given away free only to those in the Patreon Pin Collector tier of my Patreon here. If you are in any way interested in collecting my pins, I really do recommend signing up. You can live anywhere in the world, it is $25/month and worth every penny. 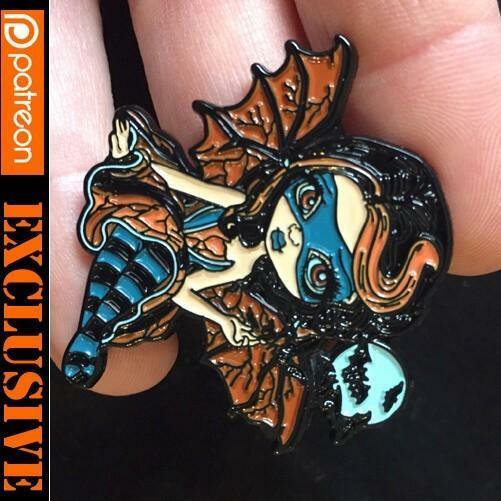 You got the free “Pipistrello” Patreon Exclusive pin as well as that month’s “Pin of the Month” pin immediately mailed to you, and then a new “Pin of the Month” each month automatically shipped along with additional Patreon Exclusive pins throughout the year. We also giveaway various Event Exclusive pins (like those from MegaCon & DragonCon) to the Patreon Pin Collectors. 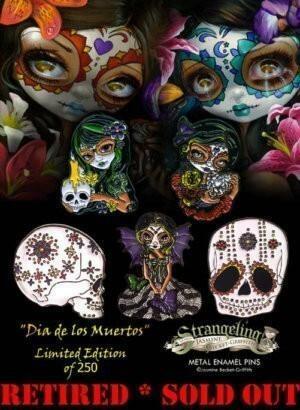 You also get 10% off ALL pins, prints & canvases & more from Strangeling.com – so if you are even planning on buying a couple of things it is well worth signing up for (it even works on my expensive Masterpiece Editions). Again, this pin was not for sale to the public, she was a free gift to my Patreon Pin Collectors group. 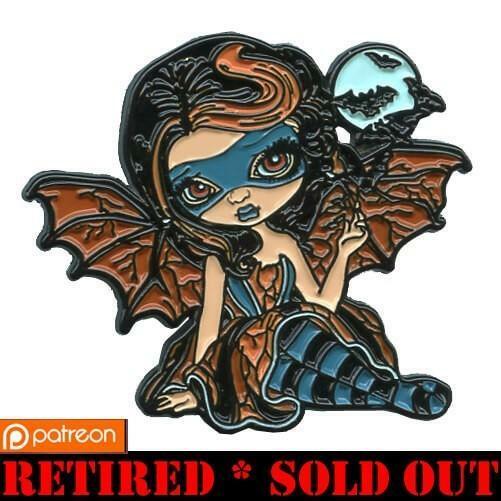 I just have her here at Strangeling.com as part of the pins archive and to let you all know about the Patreon Pin Collector tier! We add new Patreon Exclusive pins on a regular basis – check up at Patreon to see what the current special pin is!